Quick & Cheap > Knowledgebase > Promotion articles > cPanel VPS or zPanel VPS? cPanel is paid software licensed per IP basis, so for every VPS/Dedicated server you need a license. cPanel VPS license cost $18 monthly from instantcpanelhosting.com. Other license providers like buycpanel.com offers it for like $14. (minimum "256MB RAM" one) and select "centos-6-x86_64 - Linux Apache MySQL PHP + ZPanel" OS template during order. 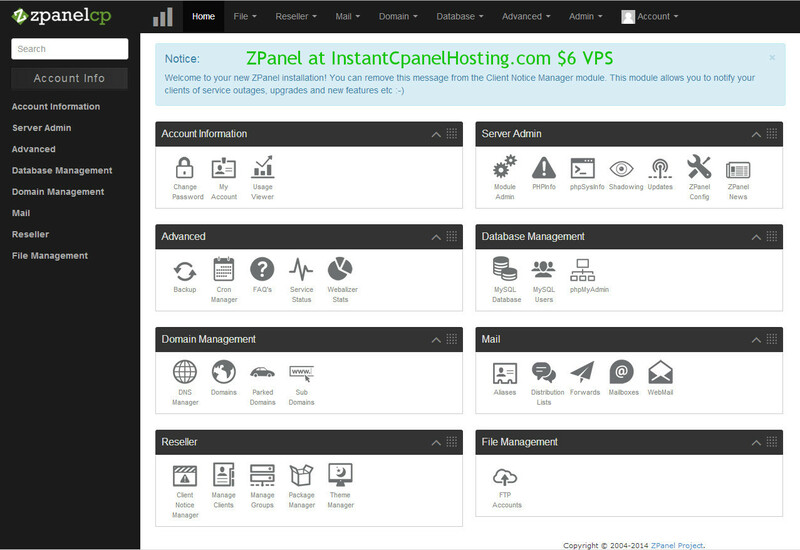 You will have your own server with zPanel hosting control panel that looks like on the image mentioned above.